Created in 2014, Loki Vape specializes in providing high quality vaporizers to their customers at an affordable price. Though they may be rather inexpensive, they are not cheaply built. Loki Vape promises durable usage through their unique designs. The Loki Touch Vaporizer is crafted to bring vapers a sleek, portable, and affordable vape. It is highly compact and comes with an anodized chamber in order to deliver pure, clean, flavorful clouds, and incredible vapor production. The brand is dedicated to providing the best customer service possible, believing that caring for their customers is just as important as making quality products. Though they only planted their roots in the industry as recently as the year of 2014, Loki Vapes knows what it takes to create a top quality herbal vaporizer. Ultra sleek and portable, the vapes they create are a testament to their mission. Loki brand aims to provide only the highest quality devices using durable materials that can be sold at an affordable price point, making them accessible to anyone who wants one. 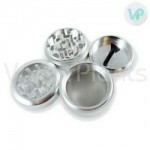 These interesting looking vaporizer units fit easily in the hand and are comfortable to hold. They are beautiful and sleek in appearance, and designed to go along with whatever sort of lifestyle that you live. Loki Vapes are a mirror image of the brand - attractive, powerful, and reliable. A skilled team on the cutting edge of new technology makes these vapes, and that can be seen by simply taking a look at the revolutionary touch screen on the Loki Vape. Revolutionary, the Loki Touch is the first ever vaporizer on the market that features a touch screen. This touch screen allows the user to change temperatures up to 440 degrees Fahrenheit, as well as to monitor the remaining battery life. Once you have turned the unit on, it will immediately begin heating to your previous session's temperature, thanks to its smart memory feature. To heat the dry herbs, the 0.45 - 0.65 Ohm coil directs heat to the ceramic chamber that promises smooth, pure, and flavorful vapor every session. The battery is a high discharge, 1200mAh lithium-ion that can last up to 3 hours of sporadic usage or 45 minutes of continuous usage without needing a charge. It can serve as both, a vaporizer for dry herbs and concentrates and is very simple to load and clean with its detachable bottom chamber. The touch screen allows you to set your temperature precisely and efficiently. Though you can choose your own, the brand recommends a vaping temperature of 385 degrees Fahrenheit, and you can select the temperature with a quick swipe along the screen. The Loki measures only 3.75 inches tall and 1.5 inches wide, making it very portable with an anodized chamber for impeccable flavor and a pure, clean vapor through its clouds. The whole device features a silicone cover that prevents your hands from getting hot as it heats, and after five minutes, a safety shut off will be engaged to prevent the Loki Vape from overheating, allowing you simple vaporization anywhere you go. 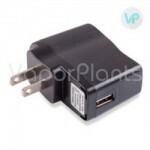 To charge the vape, simply plug it into the included USB cable to charge it at home or on the go. The Loki Touch comes with a 1-year warranty, allowing you to make your purchase with the peace of mind knowing that you can exchange it up to a full year should something go wrong or if you simply do not enjoy the vape due to a drop in quality of the vapor. Loki Vape guarantees all of their vaporizers, accessories, and replacement parts to be perfectly free of defects from manufacturing. If there is a defect to be found, they will replace it at no charge. Should you run into a problem with their vapes, they will fix it for you. The Loki line is an incredibly powerful one that has its focus on innovation, a top-notch company that keeps their customer relations on the forefront, promising great customer service and even better products to ensure that every customer is happy with their purchase, right down to their commitment to fixing any defects in your handheld vaporizer. Grind your herb down finely to expose the most surface area possible to the heating element. Pop off the silicone base that covers the chamber. Insert your dry herb tightly, but not too tightly. Place the silicone cover back onto the vape. Turn on the Loki Touch. Wait 30 seconds for it to heat to your last temperature setting, or use this time to choose a new temperature with the touch screen. Engage the button and enjoy! In conclusion, Loki Touch uses an LED touch screen that allows you to change temperatures, but also will tell you about its current temperature settings and battery life. The battery that powers the anodized heating element can last for an impressive three hours without needing a charge, and it features a convenient automatic shut off after 5 minutes of idling. Its highest temperature is 440 degrees Fahrenheit so that you can't heat it too high and end up combusting your herbs or concentrates. Its size makes it stealthy and portable enough to be taken with you anywhere. It comes with a universal micro-USB charger, a mouthpiece, screens, and a cleaning brush for ease of use. The Touch vape is an innovative and powerful dry herb vaporizer that can go anywhere you go. 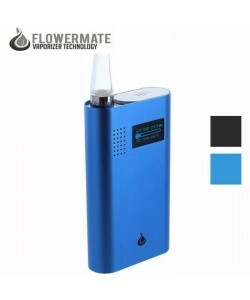 This unique to the market touch screen model has an impressive battery life and ultimate control of the temperature up to 440 degrees Fahrenheit to keep you vaping your way for longer. Its ceramic anodized chamber allows for smooth, clean, flavorful hits and is incredibly simple to load. 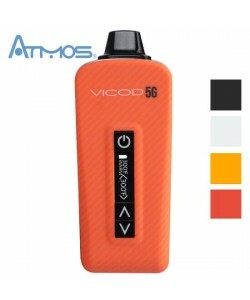 It is truly perfect for those who enjoy vaping on the go due to its compact size and efficient, simple usage. High fun to use - Review by Ricky K.
I love that the Loki Touch has a touch screen because it makes it so simple to figure out the temperature I want. I always play around with it depending on what kind of material I have. It's a lot of fun. Touch screen - Review by William M.
The touch screen is not only super cool but convenient as well. Large clouds - Review by Timothy M.
The Loki Touch has a nice ohm resistance that really brings on the clouds. I love that it has never burned my herbs either. Digital touchscreen wins - Review by Frank B. The digital touchscreen really makes it easy to use and I loved the ability to charge it quickly. I have had a really good experience with it overall. The battery life is decent but charging it is easy to do so that is not an issue. I love how easy it is to take with me anywhere. I would purchase it again and again if I had to. Learning curve - Review by Marisela T.
I got the Loki Touch as a gift and I think it has been the best gift I have ever received. I was looking for something really modern and I'm glad I found some reviews on the Loki Touch. I think it takes a little bit of getting used to at first especially if you have never vaped before but it is more than worth the learning curve that it comes with. Solid vape - Review by Raymond G.
The Loki Touch has a touch screen interface which I think makes it stand out from a lot of other vapes I have tried. The vapor that it produces is exceptional, and the smell is relatively low. It is pretty easy to clean and to keep maintained, and the mesh screen in the herb chamber is nice and solid as well. Impressive - Review by James J. The battery on the Loki Touch is really impressive, especially considering it has a touch screen to power on top of the vaping part. It is really compact and easy to bring with me anywhere. Easy to use - Review by Kelly M.
The Loki Touch is so easy to use and clean. My only real complaint about the Loki Touch is that it has a mouthpiece that gets warm too fast. It can burn sometimes. Great high vapor - Review by Micheal L.
The Loki Touch has yet to actually combust my material, which is something that a lot of other vapes do. The flavor is great and so are the clouds. Clean and tasty - Review by Karen E.
I will never use another vape after trying the Loki Touch. It's discreet, easy to use and clean, tasty, has a low smell and can be used just about anywhere. Heats up fast and comes with everything you need. The price wasn't too bad either for a touch screen and the features it has. Another quality product I bought from VaporPlants.